All Nippon Airways (ANA) hasn’t had it easy lately. The weak yen has led the airline to losses. And as the first and most prolific 787 operator, it took a huge hit when the aircraft was grounded. Flights were canceled, and people were unhappy. But that’s no longer an issue (hopefully for good), and ANA is moving forward. pretty odd from a distance. The airline is really a mix of a lot of different airlines and related companies (including a recent purchase of a piece of Myanmar’s Asia Wings). I can’t quite figure out how they all the puzzle pieces fit, but it sure is fun to try. Let’s take a look at just a few of them. ANA flies a bunch of widebodies itself, including 767s. So why does it need a full subsidiary that also specializes in operating 767s only under the ANA brand throughout Asia? I don’t know. It seems fairly duplicative to me. And it gets even more confusing. Some of the airplanes are cargo, and those came after Air Japan was merged with ANA & JP Express (one airline, two names). The latter appears to have been partially owned by the Japanese postal service but ANA bought out that interest and merged these two together. I’m assuming another joint venture, Allex Cargo, also got folded in here somehow because I don’t see any recent mentions of that airline. As far as I know, “Nippon” means “Japan” in the local language. (It’s like saying Deutschland and Germany are the same thing, which they are.) So you would think that Air Japan and Air Nippon would be the same thing, but they aren’t. To be fair, Air Nippon no longer exists. It was a domestic 737 operator in Japan that has since been merged into ANA. But it also had a feeder network called Air Nippon Network and that was merged into ANA Wings…. This subsidiary is one that makes sense to me. ANA Wings is the main regional operator for ANA. It was formed fairly recently after Air Nippon Network was merged with Air Next and Air Central. But the Japanese definition of a regional operator is a little different than ours here in the US. The airline is phasing out its last Dash 8-300 aircraft so that it will operate nothing smaller than 70 seats including 16 737s. You won’t see that happen in the US. Here’s where things get weird. It’s bad enough when an airline owns its own low cost carrier, but ANA has three of them. Seriously. Peach was started up with some outside investors and was based at Osaka’s Kansai airport. With its fleet of A320s, it flies around Japan and regionally within Asia. Peach kind of looks like you would expect it would. It does everything the low cost carriers do with things like charging for luggage, etc, but it does it with a characteristic Japanese goofiness. Want to reserve a seat? There are four different categories of seats you can reserve. Fast Seat (first row), Stretch Seat (exit row), Pleasure Seat (all seats in front of the exit and window seats-only behind the exit), or Standard Seat (behind the wing). Think people buy the Pleasure Seat just for the name? As if Peach wasn’t enough, ANA decided to do a joint venture with Air Asia to create Air Asia Japan. It’s a low cost carrier based in Tokyo. Why bother having a separate company here instead of just merging with Peach? I’m guessing it was one of those “if you can’t beat ’em, join ’em” types of moves to get Air Asia on its side. But then why wouldn’t the Air Asia brand be good for the Osaka-based low cost carrier as well? Both are operating A320s, so that wasn’t an issue. I just have no idea. Apparently this one has not worked well at all. In fact, the deal is dead, and Air Asia is pulling out. Seems like the perfect opportunity to just merge the remains with Peach if you’re ANA, right? Wrong. Instead, ANA is going to shut this thing down in October, give it different A320s (the old ones go back to Air Asia), and re-start in December as Vanilla Air. Mmm, delicious. The oldest and only inedible company of the bunch is Air Do, an airline that is based on the island of Hokkaido at the northern end of Japan. The big city there? Sapporo. Air Do was backed by the local government and helped bring fares down, but it ran into financial trouble. ANA ended up being part of the bailout and, well, now they’re best friends despite Air Do’s original mission to crush ANA and JAL. So effectively ANA bailed this airline out to get it on its side, I’m guessing. I didn’t even touch on the other businesses that ANA owns. For example, it already owns a flight training academy, but now it’s buying another one, Pan Am. And there’s plenty more. I know this kind of model is much more common in Asia, but I have trouble wrapping my head around the reason for all of these. Anyone have a good explanation? The only logical explanation I can think of, is the approach of companies like Unilever: they have I don’t know how many brands of soap or any other fast moving consumer goods, of which many are competitors. But, to the general audience it seems like they have a choice between brands. When a competitor goes bankrupt/is closed, people think they have less options. Well, with ANA/food-names they think they still have other options. Peach, vanilla? Great combo for ice cream, but wow those are some way out names for airlines. Never saw an airline as conviluted as ANA. I wonder what it would look like if DL, UA or the new AA had the same level of complexity as ANA. This whole piece seems rather speculative when you could have just called up somebody at ANA and had a conversation about it all for a more informed article. The only thing I can think of, and it’s a pretty lame explanation at that, is that mega conglomerates that do pretty much everything (witness Tata or Reliance in India) are common and well-known, so perhaps ANA is intentionally making itself as complex as possible to play off that theme. In other words, to position itself as an airline that does many things. Like I said, a pretty lame explanation, but the only one that really comes to mind. Errr….I think you may be onto something with your theory. Look at ANA’s (now smaller) rival…JAL. The Japan Airlines umbrella included; JALways (High density, low yield beach markets) not to be confused with Japan Charter (doing the same thing), J-Air, JAL Express & JA Transocean (all RJ ops, 3 divisions), Japan Air Commuter and Ryukyu (prop ops, 2 divisions). They also sold prepackaged ‘inflight’ meals in supermarkets and retailed duty free products in Japanese airports. I am no expert in Japanese organizational structure (my focus is Latin America)…but ANA is not alone in following the octopus model. We all know how it played out at JAL….hope ANA is not walking the same path. Wait, who was the genius who decided to sell airplane food on the ground?!? Yep! JAL also had a million subsidiaries until recently, seem to be feature of Japan’s airline industry. Must be why ANA Holdings just bought Pan Am International Flight Academy. They never know where-when-what kind of airline they will have next to fill cockpit crews with, so they will now be prepared. Maybe ANA is buying up its competition. But seriously, one danger U.S. conglomerates ran into was the lack of focus on the core businesses. As an example, the Illinois Central Railway (now part of Canadian National) once owned Midas Mufflers. Much of the original idea behind conglomerates was combining businesses whose cycles ran counter to each other. But the downside, the lack of focus, became the Achilles heel of the idea. One has to wonder if a lack of focus won’t ultimately hurt ANA. ANA is a baby in the subsidiary department. Go look at JAL – 101 companies in the family! Here is a list – page 73. And that is down some 150 companies prior to JALs BK. Cranky, you need to remember the airline business in many cases came after these holding companies were already long established in other industries. For example Asiana’s parent Kumho has been around since after WWII with several dozen companies before if jumped into airlines, same with Cathay Pacific’s Swire Group which has been around since the 1800s. Also Korean Air which you recently reported about is one piece of the much larger Hanjin conglomerate. Such holding companies are very common overseas where the airline portion simply plays one part of a much broader business empire. Heck we even see it with the Virgin Group. Branson has something like 400 companies worldwide under the umbrella. Steven A – Maybe my question wasn’t clear. I get the holding company structure with a lot of different companies, even though it’s rare to see that in the US. But why do you need 3 low cost carriers? There are holding company structures that make sense and then there are others that seem to exist solely for the sake of complexity. Maybe it’s Japan’s resistance to change. It’s hard to change things, so instead they create something new. It’s easier to keep all these operations than to merge them? Only if they start losing too much money do they then have to face up to the challenge? Asian airlines and Japanese in particular? Who knows? Bret tried to keep them strait and I recognize that it is beyond my ability. Of necessity, I guess I’ve come to regard the Asian market as A to B transportation, most often relying on convenient schedules, comments from trusted friends and my own small, subjective lists from prior experiences. It is far from perfect, but is all I have. On the whole, I dislike flying in Asia and selecting carriers is too often a crap-shoot. Oh my, “3 low cost carriers.” May I suggest we get to bottom of this, as Capt. Renault implored: “Round up the usual suspects!” The industry. 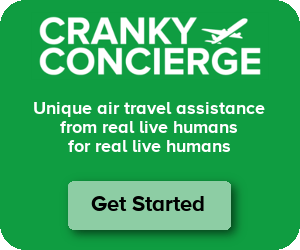 Cranky, what with you getting much credit for getting DOJ to drop its case against that merger (soon, I take it) perhaps you could use your standing to have UA come up with one or two low cost carriers of its own. Like, Ted? I don’t know it all seems logical to me on the smaller carriers. Every airline is based out of a different airport, which for the Japanese market matters because you don’t have hub to hub flying generally. You don’t need to due to the density and the relatively short distance to hop to SE Asia and other spots that are common for low-cost carriers. Add to the fact that the ownership structure of many airlines are due to outside investors and attempting to seperate the main fleet from the pieces that are joint ventures. While kind of goofy organizationally, I can assure you that it is unlikely that anyone would ever fly between the hubs and somehow have to deal with one of the other LCC’s. As to Air Japan, my understanding is it is basically an airline to have foreign pilots fly routes that would be allegedly unprofitable under current ANA union rules. JAL did this a number of years ago where they formed a seperate company to run flights with foreign flight crews that were paid less and had less benefits than the mainline JAL. As an expat who lives in Japan, I’d have to say that this type of conglomerate is pretty common in Japan. As such, these bloated companies are resistant to change and expensive to maintain (ANA has the highest costs of any airline in Asia). In addition, due to their nature, these companies (and the local population as a whole) are fairly insular with yes-men on the top with no awareness of the outside world (hence the name “Vanilla Air” which apparently many local ‘experts’ deemed as an appropriate name despite its bland connotations in the west). Sadly, these kind of practices are one of the reason Japan is no longer the nimble innovative place it was in the 1970s and 1980s. So, the only way for these bloated and insular companies to maintain growth is to buy, buy, buy, rather than streamline and innovate. – Japan Inc likes complexity in general. The more subsidiaries and tentacles in your Keiretsu (http://en.wikipedia.org/wiki/Keiretsu) the more alliances you can build with “frenemies”. Japan in general prefers harmony as a principle in life, and harmony is at odds with competition. So the many subs allow alliances that would be hard to implement if you have only one business. This has been the case throughout Japan’s history and has landed them in hot water many times. – Japan has been in constant recession after the bubble burst there (http://en.wikipedia.org/wiki/Japanese_asset_price_bubble). There have been slow upturns but basically the system is broken and there is no solution on the horizon as almost all solutions are or would be at odds with what is politically “sellable” to voters (like in almost any other country) or at odds with the Japanese desire for harmony. The subs are a way to hire people under new contracts that are less than what is offered under previous contracts. It is almost impossible to fire someone in Japan (unions! and the law! http://en.wikipedia.org/wiki/Japanese_labour_law). The law (and I have dealt with it when I lived there as I had to lay off people because of the recession) becomes difficult because of this reason: “an employer that tries to fire an employee without rational, reasonable, and socially-acceptable cause may lose an abusive-dismissal court case.” The reality of this is that it is almost impossible to comply with these rules in the eyes of the courts, and it is cheaper to keep people who are no longer needed in empty shell companies rather then trying to lay them off. ANA owns three LCCs because they have different partners (Hong Kong investors in the case of Peach, AirAsia in the case of AirAsia Japan, and the Hokkaido prefectural government in the case of Air Do), each of whom want different things. Air Nippon was originally a feeder for ANA, JAL and one of the predecessors of JAS (remember them?) on a couple of routes that were essentially analogous to Essential Air Service. It also had a role for a while on flights between Japan and Taiwan, which ANA could not operate themselves without angering the Chinese authorities (a la Japan Asia Airways, KLM Asia, etc). Air Japan is essentially an LCC of sorts, a way for ANA to lower labor costs on certain routes. They started out by hiring ANA pilots who had passed the mandatory retirement age of 60, and then added on a bunch of relatively cheap American pilots (one reason why they operate Honolulu routes for ANA). The predecessor of Air Japan, “World Air Network,” flew to KUL and had a cadre of Malaysian flight attendants. Brett, I love your picture of Thomas the Tank Engine with an airplane nose. I imagine with your son, you’ll get to be quite familiar with Thomas and his various friends. Maarten did an excellent job of summarizing Japanese corporate structure. My family left Japan when I was five years old, but my cousins all work in various keiretsu. When I see them, they fill me in on Japanese corporate life. That is when I understand why my parents left a comfortable life, so that us kids wouldn’t have to endure Japanese corporate life. They think I would’ve particularly chafed at it. Japan never did recover from the 1997 crash, as Maarten indicated. It is not clear to me how they will make their way forward as there are so many societal impediments to doing so. And Joe, thanks for reminding me of JAS. I flew them a few times around 1997 in my yearly visit to see Japanese relatives in the 1990s. I had totally forgotten about them. I get a sick pleasure watching non US carriers make the same mistakes US carriers made 10-20 years ago, but Japan has really taken it to absurd, high comedy. Buy Pan Am! Something in Myanmar! Umpteen LCCs! Something from Ron Popeil! Synergies! Profits! I think most of this as other commenters have posted goes to the Japanese economy and business culture. NH needs major change, and multiple small diversions are easier than changing the current business. What, pray tell, needs major change at NH? They have made money for the past three fiscal years. They were recently upgraded to five stars by Skytrax and have excellent products in every cabin. They are consistently in the very top handful of companies that young Japanese people want to work for fresh out of college. Yes, they have a high cost base, but many travelers (like me, and a large number of Japanese people) will pay more to fly ANA because we get better and more reliable service than what is provided by United, Delta or even JAL. There’s no competition in Japan–NH and JL control 85% of the domestic market, which by all accounts is what is paying the bills. And that is down from close to 100% only a few years ago! It’s only going to erode further, with more competition, even though govt control of slots is slowing the process, and when it inevitably does finally get remotely competitive, I don’t see how NH will be positioned to respond. They thought a 150+/- seat 788 was a good idea for chrissakes! @Joe Jones: ANA had made money but only because their domestic routes are highly profitable. And why wouldn’t it be when their planes fly at an average of 70% full but with high ticket prices to cushion the lack of passengers. There is no real competition in the aviation sector in Japan. Yes, there are LCCs but they only fly the trunk routes, and the big ones are actually owned by the JAL and ANA who clearly manage them in a way to avoid hurting their own profits. There is talk of Spring Airlines of China setting-up an LCC subsidiary in Japan. I doubt the Japanese authorities will ever let a Chinese LCC actually set-up shop in Japan. However if they do, they will bring with them a totally new and non-Japanese perspective on running an airline. They won’t care about the ‘wa’ or harmony of everyone flying the same route with similar prices, because that’s the Japanese thing to do. That’s when prices will really fall and that’s when bloated, insular and inefficient carriers like ANA will suffer. I suspect one big reason is unions and Japanese Labor Law. Each subsidiary has their own labor contract. The smaller subsidiaries with perhaps more lenient contracts can be used to manage labor costs in tough times or even shuttered altogether without violating the contracts of the other work groups. The different subsidiaries can also be used to manage airport slots, especially subsidized services. We saw this in the US when Mesa shut down its Air Midwest subsidiary as a way to get out of several EAS obligations.